If you are looking for some fun family games ideas to play together, this one is one you will love. 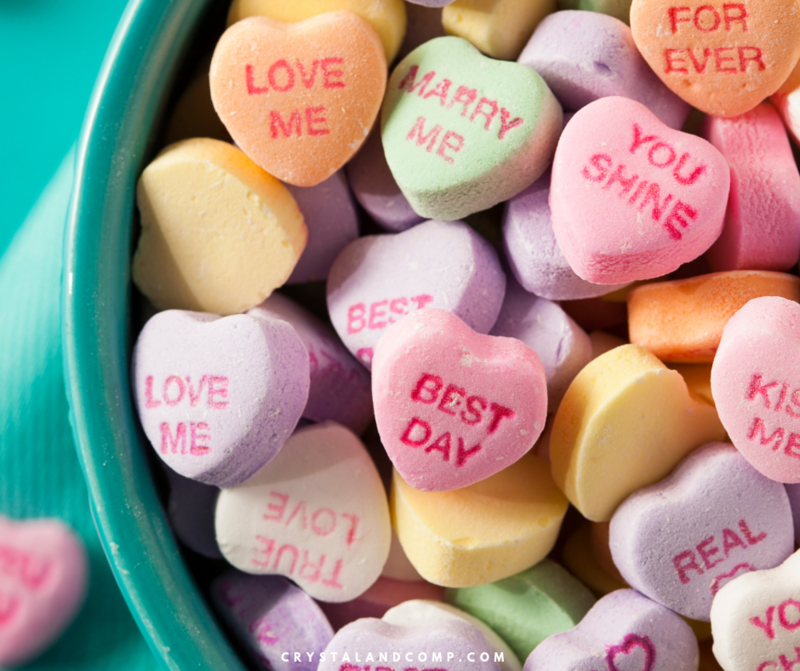 Conversation Hearts are a Valentine staple, who does not love them? They have been around for decades. So you know what we did? We made a game! 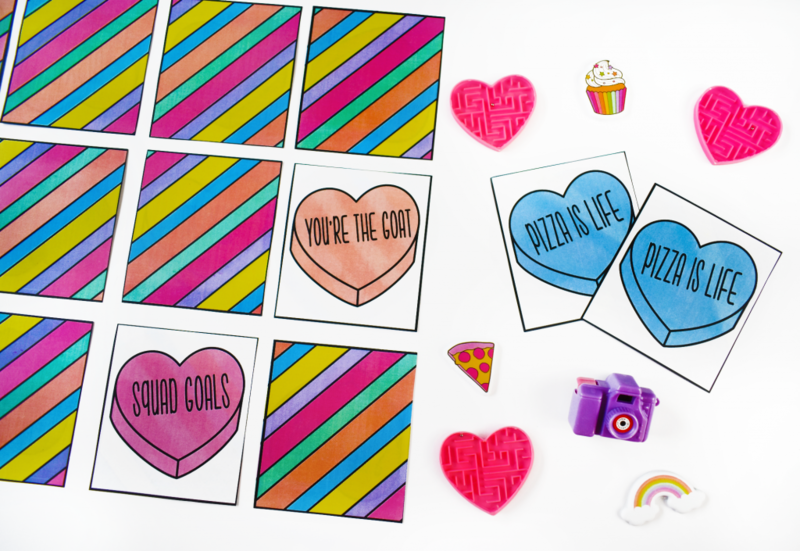 Grab our Valentine Conversation Hearts printable and enjoy a family game night! Here are the different slang sayings that are on the hearts in our game. You can download the game here. Just print it out and have fun! I would use white card stock for printing and a paper cutter so you get even fine lines. What a family fun activity that everyone will enjoy! Literally download and print the pages. Gather up your family and friends. Take turns and each player turns over two cards looking for a match. If they match they keep the cards and score a point. If they do not match they lay them back down from the spot they were turned over from and the turn moves on to the next player. The person with the most matches wins. The winner gets a box of candy hearts! 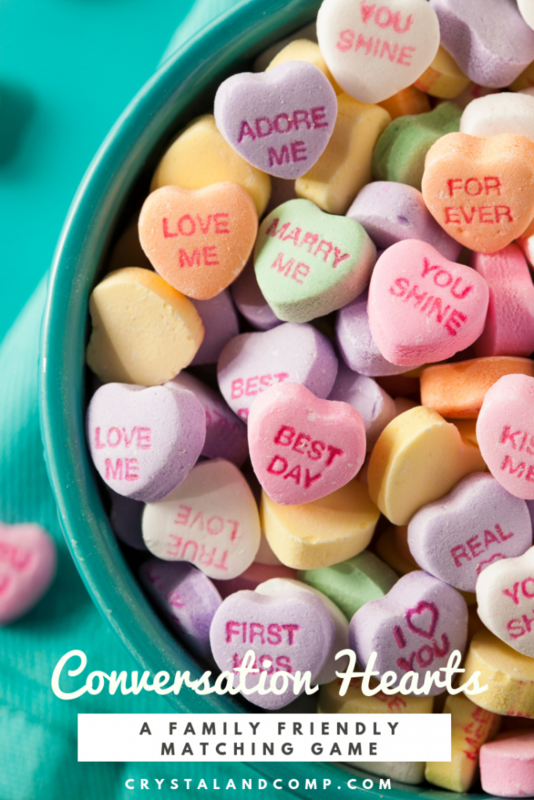 When you buy these candies to give to your Valentine they have sayings on them like Be Mine, Hot Stuff, XOXO, Love Bug, Wink Wink, Miss You, Call Me and more. When you are shopping for them at the store they are also known as Sweethearts, if you’re looking for the brand name. Necco, which is a confection company in Massachusetts makes these hearts. These Sweetheart candies have been around since 1866… that is a long time! Over one hundred years of sugar conversation goodness every Valentines Day! They make nearly 8 billion (with a B) Sweethearts every year! (I did read one report that says the hearts hit the market in the early 1900’s… either way…. they have been around for longer than you or me! I wonder what they sayings on these hearts were back in the 1860s? What Are Conversation Hearts Made Of? Essentially they are made of the same thing as the Necco wafer. Just a different shape and a stamped conversation on top. And you know what? The Necco wafer goes all the way back to the 1840s! This is a product of longevity. 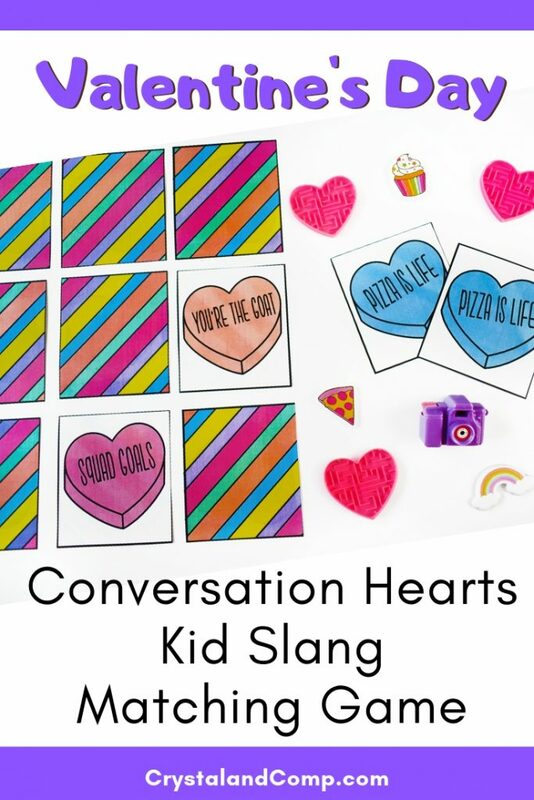 Ingredients for the Conversation Hearts includes sugar (of course), corn syrup and gluten are just a few of the ingredients…. none of which have ever changed since the beginning. What are Conversation Hearts Flavors? If you’re buying the Sweethearts brand the yellow is banana, green is lime, pink is strawberry purple is grape, orange is orange and white is a wintergreen flavor. Want to make these candies at home? You can! Here is how you make homemade Conversation Hearts. There are so many things you can do with Conversation Hearts. Here are just a few ideas. Fun! Thanks for sharing at the To Grandma’s House We Go DIY, Crafts, Recipes and More Link Party! I pinned this. Hope to see you at the next party.